The Grown in Britain Licensing Scheme is the sole provenance standard that assures British timber products, tracking timber from the forest or woodland to the end user. Customers are increasingly asking for locally sourced products, with contractor members of Build UK (formally the UK Contractors Group) including BAM, Mace, Vinci and Willmott Dixon, along with clients including British Land, all having a preference for Grown in Britain licensed timber. Can you afford not to get involved? 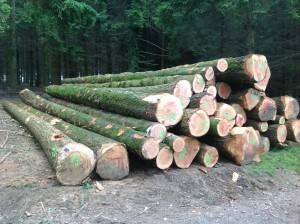 The Grown in Britain Licensing Scheme is a timber Chain of Custody scheme that works in a similar way to the Red Tractor scheme for food. Raw materials are tracked from the forest or woodland through the supply chain to the end user or retailer using licence codes on delivery tickets and invoices. The Grown in Britain on-product label is then used on a finished product. There are currently four licence categories which are outlined below. We specialise in helping organisations put in place the management system required to obtain a Grown in Britain Forest Product (GiB-FP) or Grown in Britain Supplier (GiB-S) licence. We can set up a system from scratch, or where you already have an existing FSC/PEFC management system, we can advise on how to adapt this. We can also organise the required external audit, and train your staff on the requirements of the new system. Please Contact Us if you would like us to help you set up a GiB-FP or GiB-S management system. This licence is specifically for forests and woodlands in the UK who want to supply Grown in Britain licensed timber product into the market. This could include round timber, firewood, wood chip, charcoal, etc. All that is required to qualify is evidence that the forest or woodland has in place an approved UKFS compliant management plan or FSC/PEFC certification. Contact Grown in Britain for details of how to apply. This licence is for traders, processors, manufacturers, and merchants who want to sell Grown in Britain licensed timber product into the market that is sourced only from UK Forestry Standard (UKFS) compliant forests and woodlands in the UK. You will need to ensure you have a management system in place that monitors all inputs and their source, along with the outputs. Please Contact Us if you would like help in applying for this licence. This licence is for traders, processors, manufacturers, and merchants who want to sell Grown in Britain licensed timber product into the market that is sourced from non-UKFS and UKFS compliant forests and woodlands in the UK. As with GiB-FP, you will need to ensure you have a management system in place that monitors all inputs and their source, along with the outputs. In addition you will need to show that the end product contains at least 70% timber from UKFS sources. Please Contact Us if you would like help in applying for this licence. This licence is for suppliers of timber product from non-forest sources in the UK, such as arboricultural arisings, orchards, or woodlands that do not have a UKFS compliant management plan. 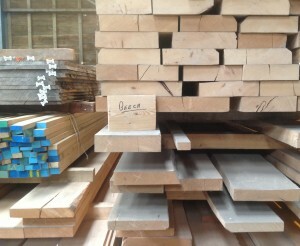 This timber can be used as part of the mix for a manufacturer with a Grown in Britain Supplier licence. 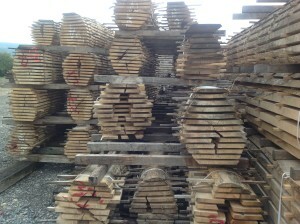 Timber sold under this licence cannot use the Grown in Britain on-product label; it can only be noted on delivery tickets and invoices as GiB-LO. Contact Grown in Britain for details of how to apply.